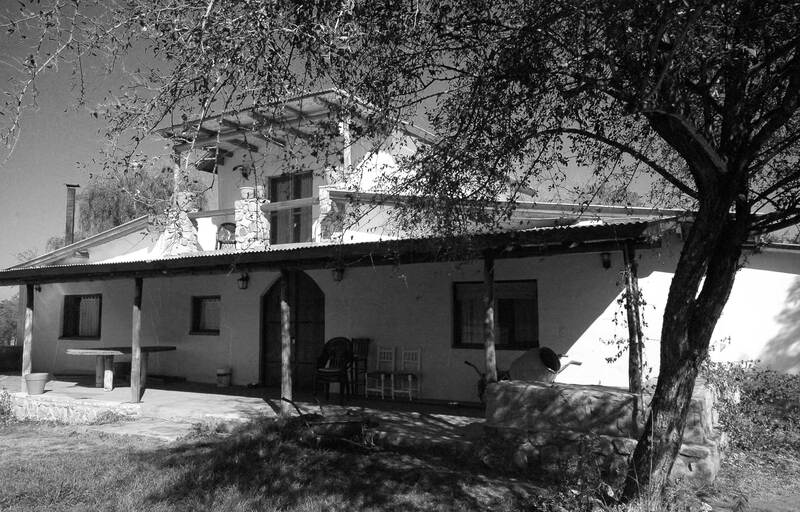 With glorious views of the Sierra de Comechingones, the straw bale house at Yacanto is possibly the largest straw bale house in South America. At 257 metres square (excluding the terrace) and two floors, it is a large house. It was built by Tim Cullen and completed in 2005, with a second small house finished early 2009. There is a wow factor with this house, especially inside where the high ceilings, huge rooms, numerous windows and solid thick walls create a feeling of permanence, space, and protection from the elements outside. 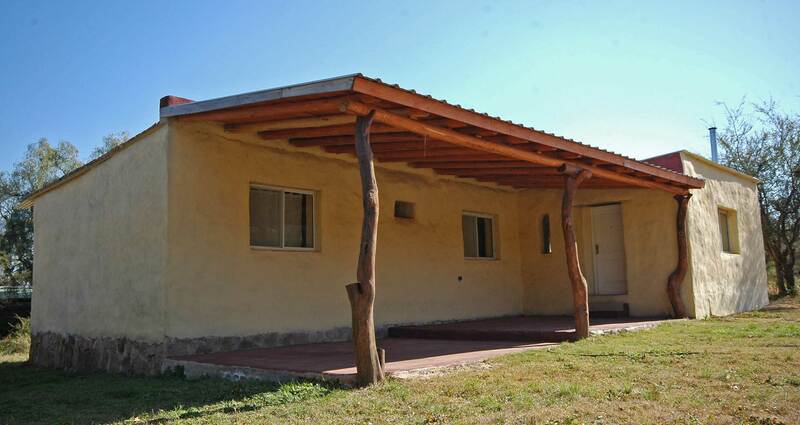 The house is oat straw bale infill with block walls as its main supporting elements. The roof is corrugated aluminium necessary to cope with the odd hail storm but not be too heavy on the structure beneath. The walls have a soft yellow lime render. In all, the house took just nine months to build. 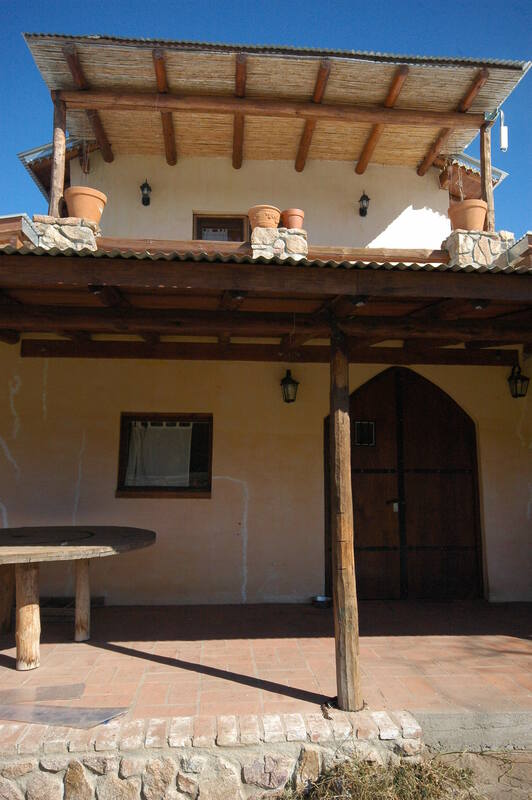 The main advantage of straw bale for Tim is its thermal properties in relation to its costs. It is a temperate climate here with the extremes of cold winters and hot summers. His walls are 51 cm thick with a thermal capacity of 48. In comparison a single brick wall has a capacity of 19, a double with fibre-glass insulation (which is too expensive to be used in many local houses here) only raises the capacity into the 30’s. 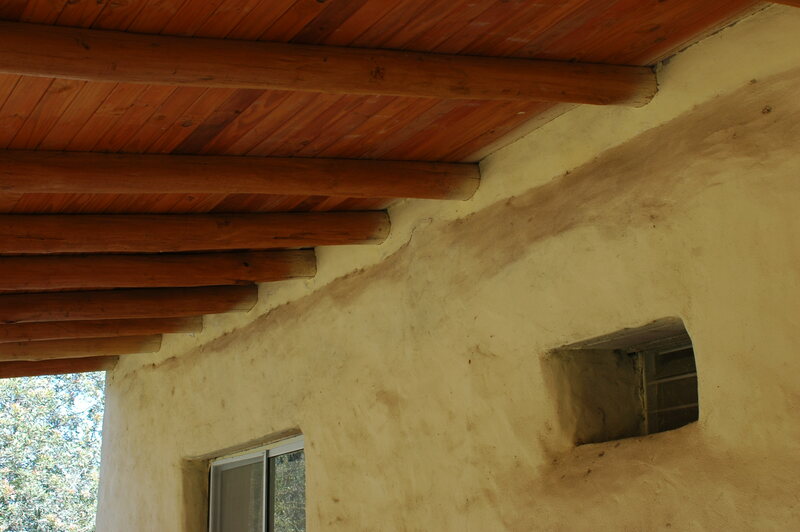 Moreover, he estimates that to achieve the same thermal properties using adobe or cob the walls would have to be 90 cm wide – a long and costly form of construction in comparison. The roof is also insulated with fibreglass, a membrane, and a wood and beam ceiling. Ti had not built before and he simply read lots of books and sought advice from those in the USA and UK who had built straw bale. He does not consider such building complicated or requiring professional assistance, though he did get an engineer to check his structural calculations. He was able to make full use of information freely available online. His experience and success illustrates that paying professionals is often not necessary – if you adequately research your build. The principle motivation for the use of straw bale in this building has been cost – that straw was the cheapest way to achieve the thermal capacity, but also that it was possible to build it using ‘unskilled’ labour, in other words often young men who not only have never built using straw before but had few building skills per se. Tim was able to direct this workforce using the knowledge he had gleaned from books and online. The second, smaller but still with two bedrooms, house only cost US$20,000 to build, just US$2,000 per square metre. This included the windows, doors, and bathroom and kitchen fixtures. He estimates that this is 50% less expensive than the same size house built in brick, and it is important to him that people should not be subjected to “debt slavery for life to inhabit a pile of junk”. While very functional as a house it is less aesthetically pleasing than the main building and on first inspection looks remarkably similar to local brick houses. But perhaps that is the point – it is better built, ecological in the materials it uses, cheap and is better suited to the climate, and yet it also does not require a cultural shift in order to be acceptable. For all intents and purposes it fits into the local cultural norms of what constitutes a home. Most houses in the vicinity have been built to be cooling in the summer heat, rather than warming in the winter cold. They have been built to mitigate what is perceived to be the more difficult climate – that it is harder to cool than to heat a house. 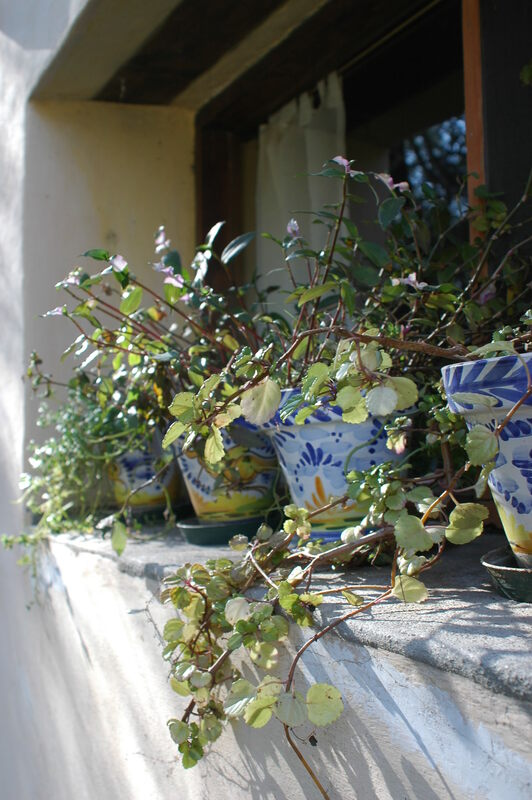 But with straw bale it is possible to curb the extremes of hot and cold and in the main house the larger number of windows have been deliberately positioned to maximise the possibility of natural ventilation in summer, without losing heat in winter. This house does not have, nor need, air-conditioning or ceiling fans, but it does need fires lit all day in winter. This concern about over-heating has also influenced the orientation – that passive solar gain is minimal because the house faces east to make the most of the stunning views of the Sierras. 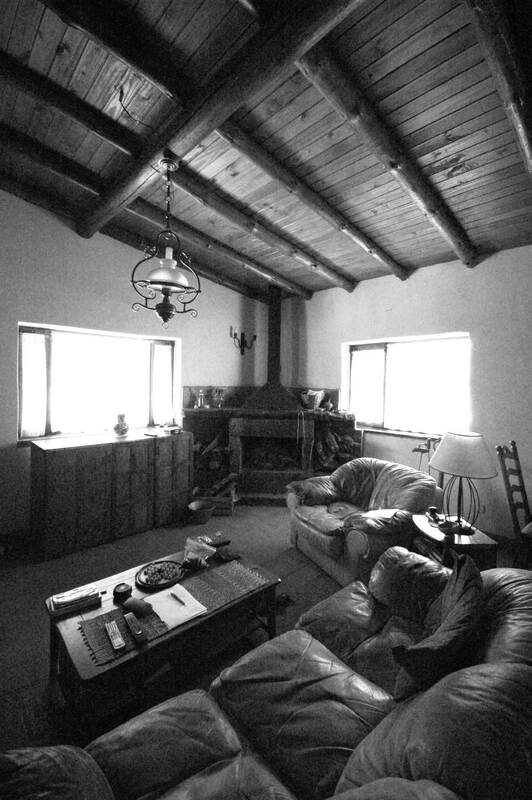 That said the small straw bale house has no windows in its southern wall in order to protect it from the harsh winds of Patagonia. 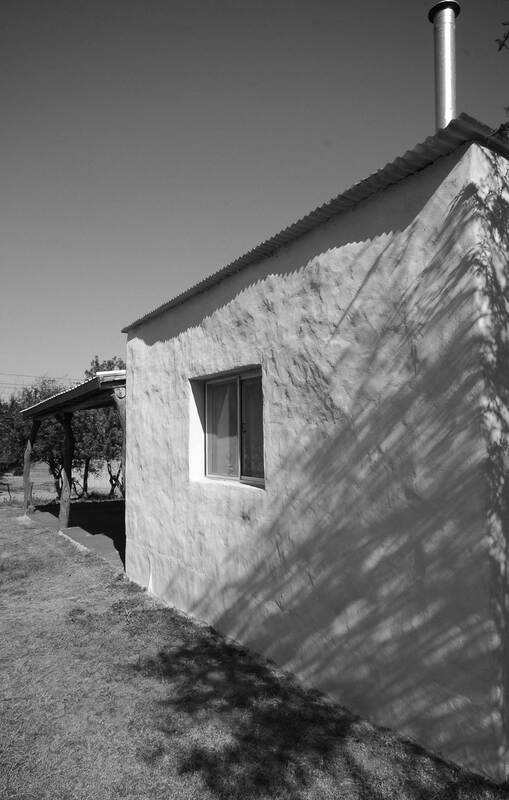 The straw bale and natural lime render also enables the walls to breathe which help in temperature control. 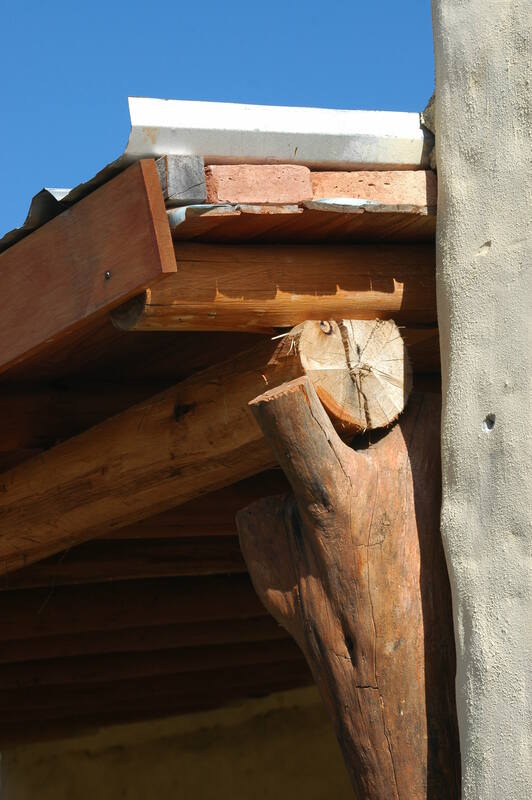 This is an earthquake region, albeit that they are rare, and Timothy believes that the straw bale is flexible enough to withstand a seismic shock. In one recent quake a little plaster cracked but there was no major damage. Bigger threats from nature, however, are the ants, and the heavy rain and winds. There are a huge variety of ants here and they eat everything including straw. So the house has had to be protected from them. While in Argentina someone told me a story illustrating their ability. She was planting out some red flowers. She planted them, turned around to sort out the next seedling for transplanting, returned to the flowers to find the petals gone and a long line of ants carrying little bits of red away. These creatures are not to be underestimated and Argentina has been described as ‘a giant ant hill’. Thus the straw has had insecticide added and is lime covered which is a natural disinfectant. The floors are brick on top of four inches of coarse sand and four inches of brick rubble designed to discourage ants. Finally, in terms of natures’ threats to buildings are the heavy rains and winds of the region. Hence, large overhangs on the roof, a protective external plaster (three layers), and slanting window sills. Straw bale building has no tradition in this region. Instead the design and principles were copied from a house in Canada featured in the The Straw Bale House Book. So the ideas have been imported and Tim was not born here. Perhaps most importantly, however, is that Timothy is not your stereotypical environmentalist and it has been important to him to demonstrate that eco-building happens beyond the usual realm of ‘hippies’ and saving money is enough motivation alone for choosing to build this way. 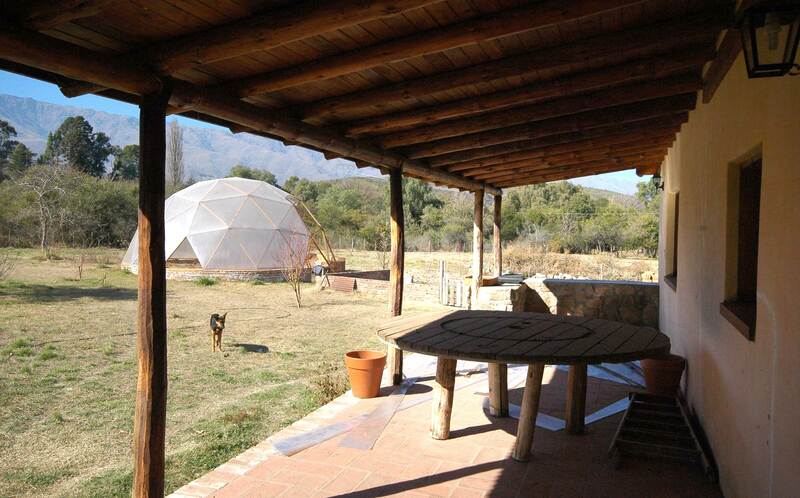 The future of straw bale building in Argentina, however, is far from clear. It has not really been taken up, not even by those workers Tim trained. 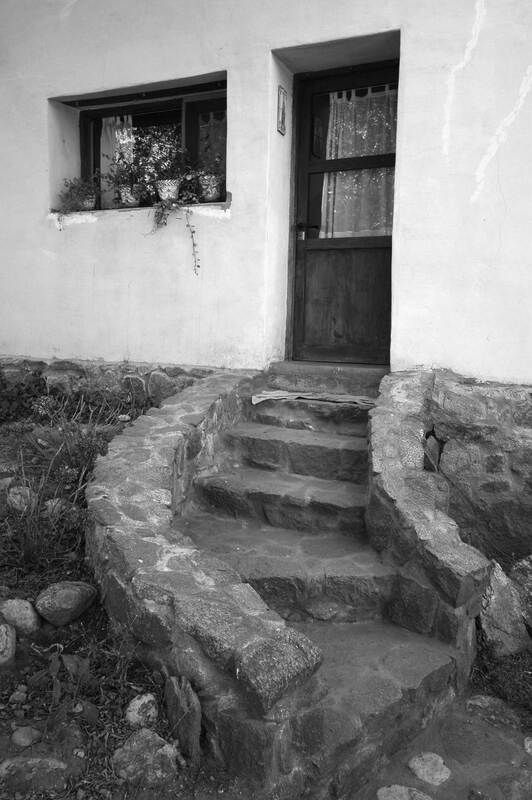 There is still local fear and resistance to it as a building technique, though nationally this house has been the subject of a newspaper article and a documentary. Moreover, there is not a ready supply of straw bales in the region, partly because beef is a bigger form of agriculture and partly because what straw there is, is cut into large round bales which cannot retrospectively be turned into rectangular bales. Thus any straw bale builder has to commission the growth of straw specifically for purpose a year in advance (to allow for drying time). There is another potential limitation to straw bale and that is the cultural emphasis on decorative housing – colourful and ornate (if it can be afforded) where Tim believes it becomes about “fashion over function”. For many his house does not fulfil the criteria of necessary appearance (though to a foreigners eye it has a majestic beauty) which in itself curtails its potential replication. When this house was constructed the building regulations were not enforced, but this is changing. Although in the pampa (countryside) it is possible to build as you wish, new regulations are being developed in the village which require prospective builders to submit plans and pay for approval. However, the local planners have said that straw bale will be permissible as long as adequate footings and columns are in place to withstand some seismic activity. Finally, this house does not use solar thermal water heating or any renewable energy technologies because they are prohibitively expensive. This house is an example of careful research, cost-based choices, courage of convictions, and an open planning and building regulations system. It demonstrates a tension between function and aesthetics and a problem with a lack of locally available materials, but the small house in particular fits within many of the existing cultural norms of building and only time will tell if it is replicated further. 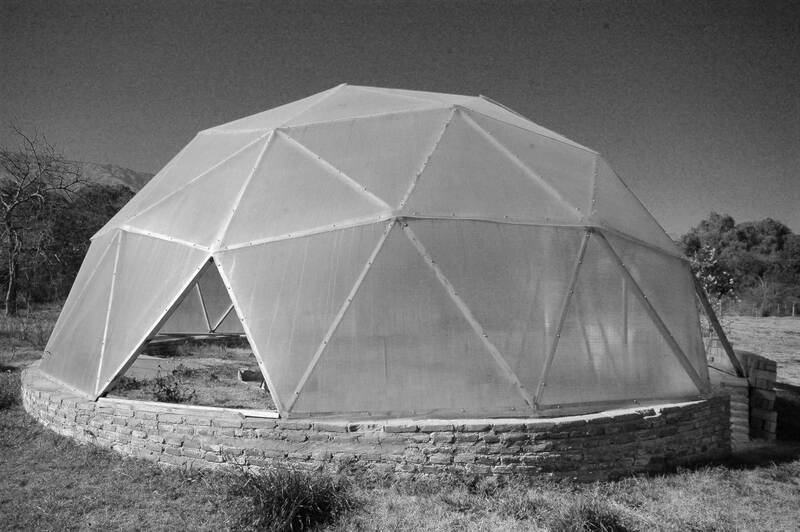 Tim is keen to welcome volunteers, especially those interested in helping expand his vegetable growing business (in a new and very large geodesic dome greenhouse), but please do not turn up unannounced. Contact him before arriving via email: timothycullen2@gmail.com. To get to Yacanto either fly or take a bus to Córdoba, then take a bus to Villas de las Roasas which is about 10 miles north of Yacanto. You will need Tim to meet you there. There are several bus companies that serve the route and several buses a day. 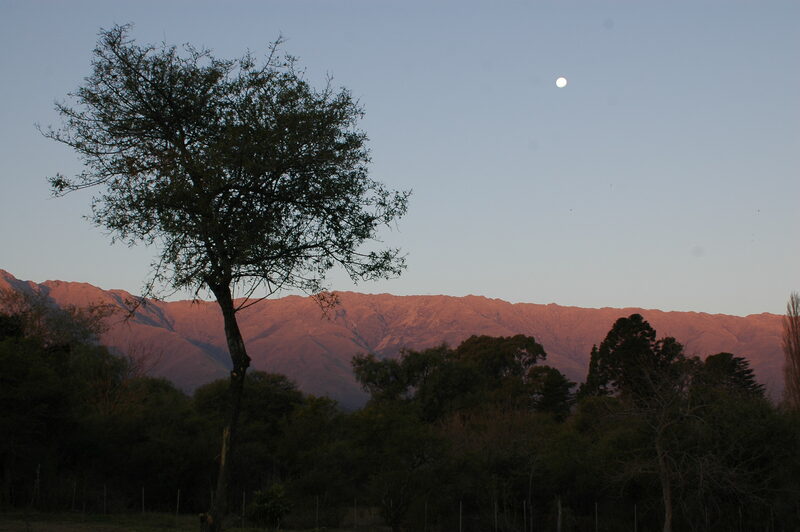 The journey from Córdoba to Las Rosas takes between three and four hours and you have stunning views of the Sierra on your way. Please note that the house has three dogs who although very friendly might not suit someone not comfortable with dogs. 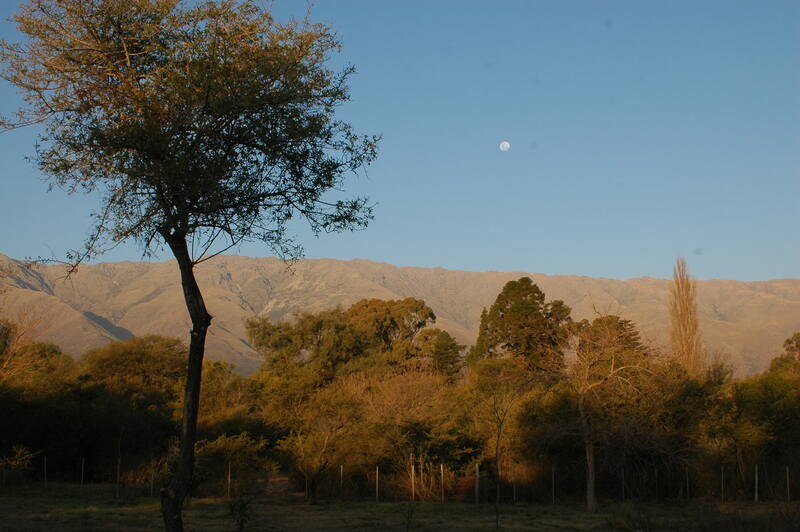 Have a small vineyard in San Rafael, Mendoza with home site. 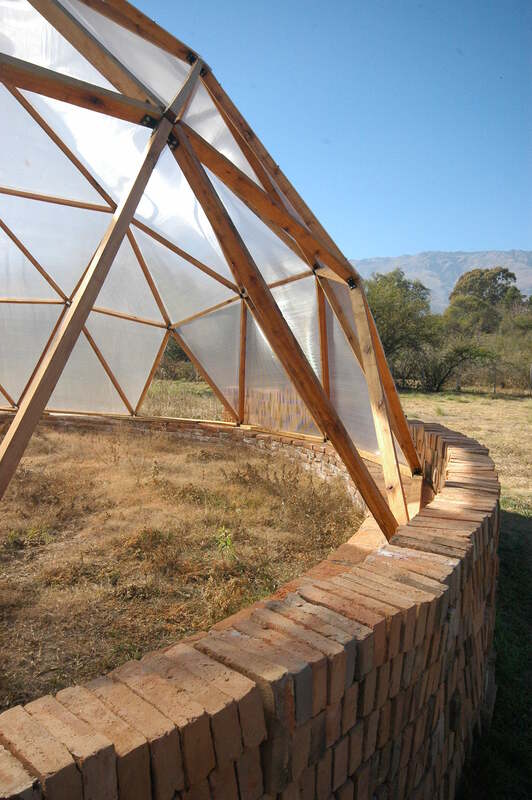 Have been interested in strawbale since we teach LEED classes in DC area. Please provide details and contact info. Love your web site. We are building a straw bale house at the moment in Australia. We have a blog, http://www.ourstrawbalehouse.blogspot.com/ if you would like to check it out or pass it on. We are just trying to get the work out, like you, on straw bale building and how great it is. Beautiful! So inspirational! We are doing something similar (in size) in Sweden, “big” family/community will build something similar, and would love some thoughts on what to think of before starting! How easy is it to get bales in Mendoza? 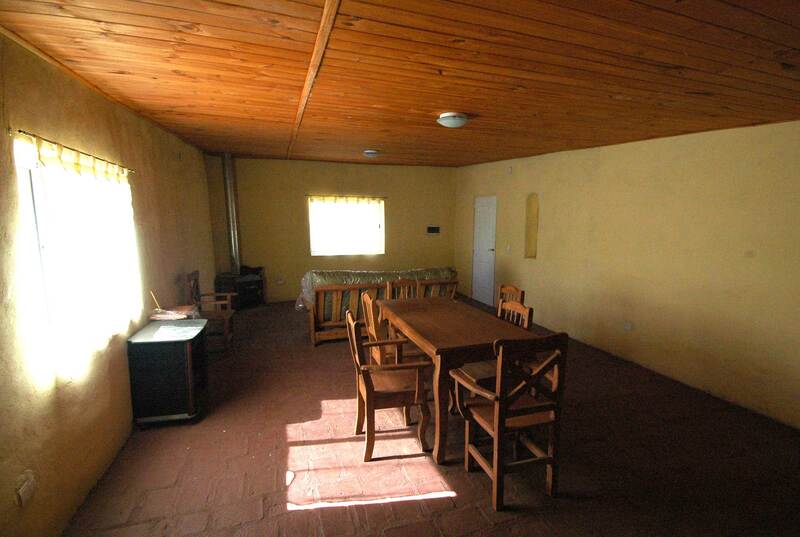 We have a property in Los Sauces in Uco.